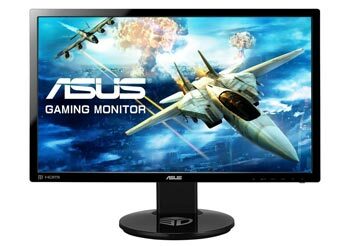 Home Technology Tech Tips Are 144 Hz Monitors Worth It? Are 144 Hz Monitors Worth It? Most televisions and monitors have 60 Hz, meaning they can show up to 60 frames per second. Many gamers enjoy 144 Hz because it makes their games feel faster, smoother, more responsive, more immersive and it helps them make split-second decision in competitive online games. However, 144 Hz is not for everybody. 144 Hz only offers significant utility for gaming. If you’re not much of a gamer, it’s pointless. The cursor feels more smooth to move around, but that’s really it. If you are into gaming, you will notice improvements in fast-paced games which involve a lot of aiming and camera movement (i.e. first person shooters, many online multiplayer games). Other games may not reap the same benefits. 144 Hz monitors cost more than 60 Hz monitors which have the same features. You either will have to pay the additional cost or go for a monitor with less image quality. For example, $200-250 can get you a 1080p 144 Hz monitor with an inferior TN panel. Or it can get you a 1440p 60 Hz monitor with a beautiful IPS panel. You also need a very powerful CPU and GPU in order to get most of those 144 frames in modern big-budget titles (although they should be attainable in older titles and less demanding titles). Hence, 144 Hz is not suitable for budget PC’s and even some of those with mid-range setups may need to turn down their graphics setting significantly to even get this frame rate. What’s the overall verdict on 144 Hz? In a complete vacuum, 144 Hz is better. But context matters. There is a price you pay for 144 Hz: both in needing to buy better CPU’s/GPU’s and needing to pay more for the monitor itself. If online action games are your #1 priority, go for it. But for the general consumer and those who have other hobbies they use their computer for, apart from gaming, size, resolution and color quality will matter much more. To the person with online gaming as their #1 priority, yes, go for 144 Hz. But if you also use your computer a lot for productivity, watching movies, streaming, Youtubing, editing photos/videos, web browsing and other activities, I cannot wholeheartedly recommend that someone prioritize 144 Hz over an IPS panel or a 1440p+ resolution. In the future, when technology improves, hopefully we’ll all be able to have 144 Hz monitors without making sacrifice.